California once again delayed the potential adoption of a new offset protocol for rice cultivation projects, as well as proposed updates to its forest protocol, to 2015 as stakeholders urged regulators to go back to the drawing board on a few particular elements. Meanwhile, regulators took some flak for the market uncertainty created by their recent invalidation of ozone-depleting substances offsets. 23 December 2014 | The California Air Resources Board (ARB) delayed the potential adoption of a new rice cultivation protocol the first crop-based methodology considered by the ARB as well as proposed updates to the forestry protocol to 2015 amid controversy about the planned revisions. The rice cultivation protocol promotes eligible practices that reduce methane emissions from rice cultivation, such as switching from wet seeding to dry seeding and early drainage in preparation for the harvest in California. The ARB projects potential offset supply under the new protocol in the range of 500,000 and 3,000,000 tonnes of greenhouse gas reductions through 2020 the scheduled end date for California’s cap-and-trade program. Board consideration of the rice cultivation protocol has been delayed several times due to questions raised by stakeholders about the environmental integrity of the offsets, namely the potentially destructive impact on the habitat of bird populations. But the updated protocol incorporated safeguards against negative impacts on migratory birds such as the exclusion of offsets from rice cultivation within the Butte Sink Wildlife Management Area a critical habitat and bans a particular project activity even though the practice could generate additional offset supply. Robert Parkhurst, Director of Agriculture Greenhouse Gas Markets for the Environmental Defense Fund, praised several elements of the proposed protocol, including the ability of farmers to cooperate and aggregate their emissions reductions into a single project and the ability to perform risk-based and randomized verification since verification is typically responsible for 50% of the total project development cost. “I think the protocol is in really good shape as it is,” he said. In the days leading up to the hearing, several stakeholders urged the ARB not to proceed with the rice cultivation protocol without making substantial revisions. Leslie Durschinger, Founder and Managing Director of project developer Terra Global Capital, encouraged the ARB to include a stronger and clearer consolidation option. While the protocol was moving in the right direction in allowing consolidation of projects and related reports, the system as proposed did not support the level of consolidation necessary to make the rice protocol economically viable for growers to adopt, she said. In March, the American Carbon Registry listed the first rice project, which aggregates rice growers over a 5,000-acre area in California’s Sutter, Colusa and Glenn Counties to reduce the equivalent of 6,700 tonnes of carbon dioxide emissions. The American Farmland Trust (AFT) identified issues related to the calculation of emission reductions of rice cultivation projects that could reduce the amount of reductions credited to the grower, perhaps unnecessarily, said James Daukas, Vice-President, Programs. However, the evaluation and the eventual approval of the rice cultivation protocol is critical for future consideration of nutrient management, wetlands and grassland protocols that stakeholders would like the ARB to adopt to expand potential offset supply, Parkhurst said – a sentiment echoed by others. 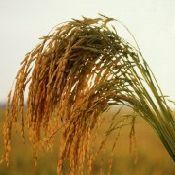 “The rice protocol has set the stage for a lot of additional protocols from agriculture,” he said. Stakeholders speaking at the board hearing expressed widespread support for the inclusion of forestry projects located in Alaska in California’s program. Currently, forestry projects providing offsets to California’s program are required to be based in the lower 48 US states. The ARB did not allow Alaska-based projects when considering early- action methodologies and programs in 2011 because of the absence of data from the Forest Inventory and Analysis Program of the U.S. Forest Service. Now having access to such data, the ARB staff has proposed allowing Alaska-based forestry projects into the program. But more revisions must occur before the proposal becomes official such as revising the approach for establishing baselines for improved forest management projects on public lands. Removing the ban on Alaska-based offset projects from the cap-and-trade program would give the native populations in the state an alternative to timber harvest and reward sustainable forest management, said Sheri Buretta, Chairman of the Board Chugach Alaska Corporation. Foresters and forest carbon project developers, however, objected to several proposed technical updates to the forestry protocol, including planned changes to standards for even-aged management of forest stocks. The proposal would have a “chilling effect” on the participation of even-aged-managed forests because it would create a substantially larger and longer-term buffer that is inconsistent with the requirements of the California Forest Practice Act, argued Gary Rynearson, a professional Forester with Green Diamond Resource Company, which owns and manages forest lands in Washington and California. The buyers’ liability provisions were a major topic of conversation following the ARB’s decision to invoke the invalidation provisionsfeatured in the state’s cap-and-trade program for the first time in November. The ARB invalidated 88,955 offsets for ozone-depleting substances, but limited the invalidation to one particular carbon offset project by developer EOS Climate generated at the Clean Harbors facility in Arkansas. Thursday’s hearing marked the first time when stakeholders were able to voice their concerns about the final invalidation directly to board officials in a public hearing and they were not shy about raising their objections. A consistent theme revolved around the fact that the ARB invalidated the offsets for an alleged violation unrelated to the actual generation of the offsets, which represented real, quantified and verified emissions reductions by the ARB’s own admission, and the need for the ARB to provide specific guidance about the circumstances that would trigger a violation. Adam Smith, ½Program Manager of Climate and Air Policy at Southern California Edison, said the lack of clarity in the invalidation rules creates problems for developers, registries and entities regulated under the cap-and-trade program. The International Emissions Trading Association (IETA) recommended modifications to clarify that only activities in the offset project area could potentially trigger invalidation and that only a confirmed formal violation notice should trigger an invalidation investigation. IETA also suggested a modification that specifies that only offsets generated during the period of an actual violation could be subject to invalidation rather than all offsets generated during the entire reporting period. ARB board members appeared receptive on the need to offer guidance on the type of violations that would rise to the level of offset invalidation even as they acknowledged the difficulty in providing such guidance. “I think that’s going to be a thorny issue, but it’s something that needs to be worked on,” said ARB board member Judy Mitchell. “It’s not an easy job and it’s a slippery slope, but what’s going to be in front of Mr. (ARB Executive Officer Richard) Corey is a whole slew of possible invalidations,” said ARB board member Sandra Berg.